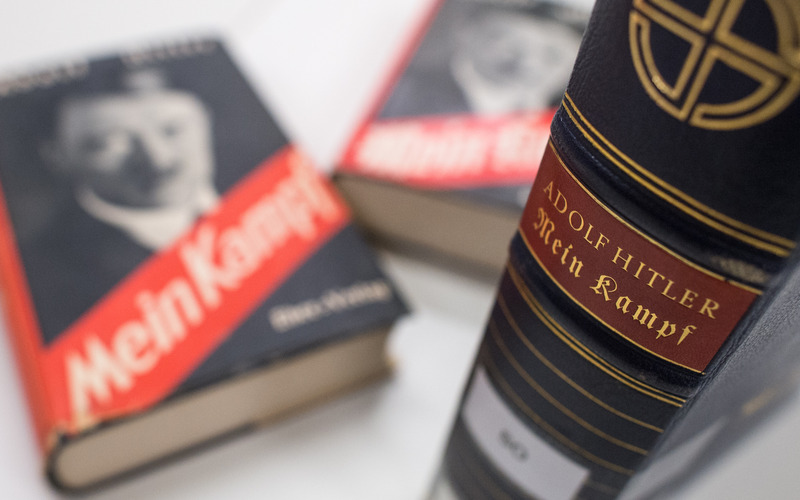 This startling observation stopped James O'Brien in his tracks - the eerie similarities between Amber Rudd's plan to list foreign workers and a passage in Mein Kampf. James read a portion of the book, written by Adolf Hitler, saying it was actually a part of the Home Secretary's speech. "Very important that firms declare how much of their workforce is foreign because they're just domiciled in this state simply as earners of their livelihood there. They're not members of the nation, they're not members of the foundation and the support of the nation's existence and greatness. You have to have a sharp line of distinction between those who are members of the nation and those who are just domiciled here as earners of their livelihoods. "No, that wasn't from Amber Rudd's speech yesterday, I'm really sorry, that's from Mein Kampf by Adolf Hitler. "A sharp line of distinction between those who as members of the nation are the foundation and support of its existence and those who are domiciled in the state simply as earners of their livelihood here. Do you recognise that need for a sharp distinction? Do you feel it? Do you applaud that today? "Do you cheer it because you've heard some meaningless anecdote about plasterer whose wages have gone up by roughly the same percentage over the last ten or fifteen years that almost everybody else in the British workforce has? You see the need for that sharp line of distinction? Are you going to swallow that today? "A sharp line of distinction between those who are the foundation and support of the nation's existence and greatness. And those, like almost everybody I've encountered so far today, who were just domiciled in the states simply as earners of their livelihood here. What do you think will come next? "If you're going to have a sharp line of distinction between people born here and people who just work here, you're enacting chapter two of Mein Kempf. Strange times."